Visiting Deba in Spain is always a good idea for planning a memorable trip to the Basque Country. Located in the central part of the Basque Coast UNESCO Geopark, next to Mutriku and Zumaia, Deba is known for its geology and black flysch, and also for being a very famous surf spot in the Basque Coast. 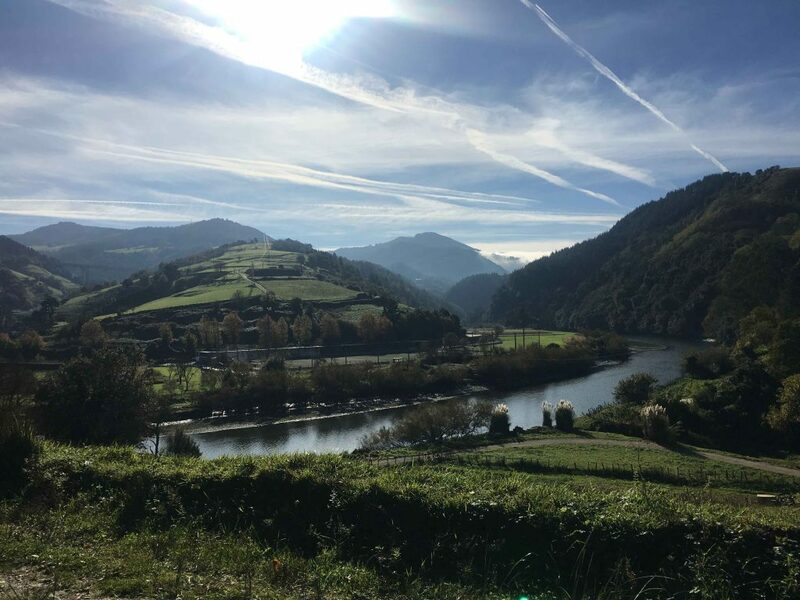 Furthermore, because of its idyllic environment, Deba became the haunt of the rich and, in so doing, encouraged the subsequent growth of tourism in Deba and also in the region. Walking tours in Deba: go local! Deba is nowadays also known because many pilgrims go through the beautiful north variant of Saint James’ Way. We will part walk it in our guided walking tour in Deba, visiting the historic bridge over the river. We will also take a look at the awesome Saint Mary’s temple, the main church of Deba, delving into the vibrant culture and special atmosphere the locality provides, especially during the summer months. Toward the end of our walk we will arrive at two main golden, sandy beaches in Deba, topped by a mouth-watering view over the whole bay. Get ready to shout ‘Wow!’ when getting to this point. Get ready for visiting this peaceful coastal village just like a local. All this you can experience in the heart of the Basque Country.